Garage Door Torsion Springs or Extension Springs: Which Ones Do I Have? 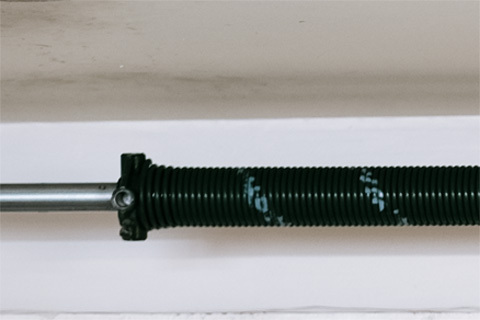 Which Garage Door Springs Do I Have? 1. Torsion springs are above your garage door, extension springs along its sides. 2. Torsion springs end in metal pieces called cones, extension springs in loops. 3. 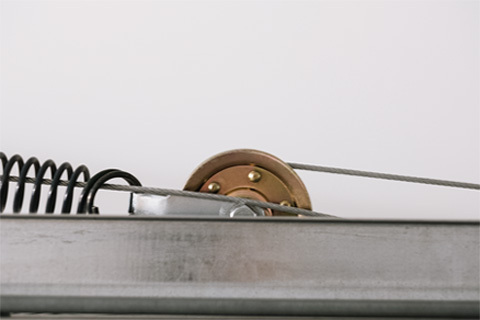 Torsion springs are connected to a metal tube, extension springs to pulleys. Do I have Garage Door Torsion Springs? 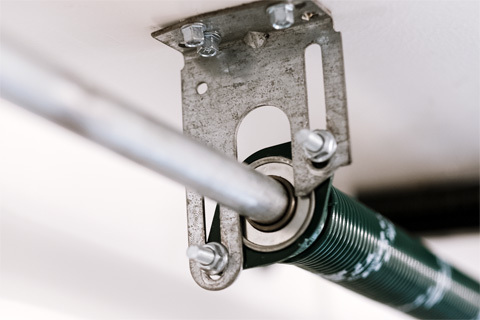 If your garage door spring is directly above your garage door, you have torsion springs. The word "torsion" comes from the Latin "to turn." To close your garage door, torsion springs twist. They use torque. They will hold this position until you open your garage door. Torsion springs have a metal piece on each end. These metal ends form X's and are called cones. One end has a small indentation. A garage door repairman will stick a winding bar in this hole and crank it. For this reason, this cone is called a winding bar cone. The cone on your garage door spring's other end connects to a plate of metal, called the center bearing. A garage door repairman does not move this end with a winding bar. For this reason, it is known as the stationary cone. Torsion springs run along a metal shaft, called a torsion tube. These tubes can be hollow or solid. They connect to cable drums at each corner of your garage. Do you see all these elements? Then you definitely have a torsion spring system. Should I have 1 or 2 Garage Door Torsion Springs? Torsion spring systems can use one or two springs. As a rule of thumb, a single garage door takes one torsion spring. A double-wide garage door takes two springs. However, if you have an exceptionally heavy single door, you may need two torsion springs. It is easy to tell whether you have one or two springs. If you have just one, it will be only on one side of the center bearing plate. If you have two, there will be a second one on the other side of the plate. If you have two springs, your left torsion spring may have red markings and the right-side one black marking. Many garage door spring manufacturers color code their springs. They do this to show which tension spring goes on which side. If you see these colors, you can be sure that you have garage door torsion springs. Do I have Garage Door Extension Springs? 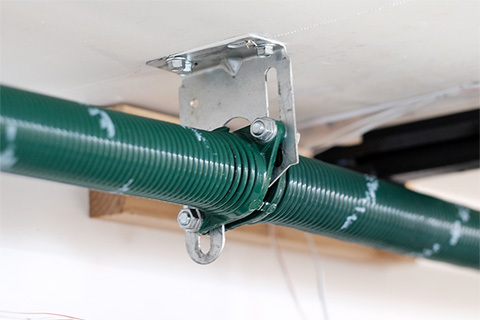 If you have a garage door spring running along each side of your garage, you have extension springs. 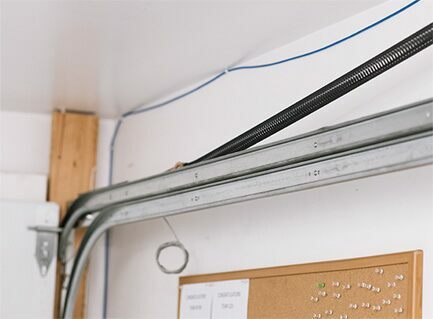 To close your garage door, extension springs extend outwards. They stretch. Extension springs' ends form loops. Three versions are available: single loop, double loop, and clip. The single loop extension spring is the cheapiest version. Its end is just a continuation of the coil. It does not even complete a full circle to close off the loop. The double loop, on the other hand, makes a full circle and is therefore stronger. The strongest extension spring, though, includes a clip at each end for added strength. Extension springs connect to pulleys. 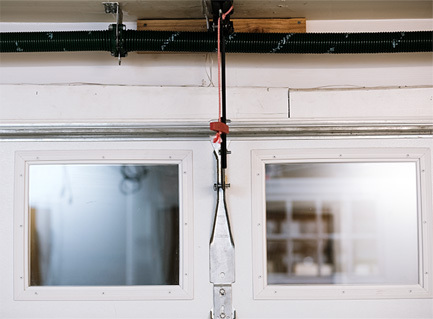 Just like extension springs, these pulleys run along the walls of your garage. The pulleys connect in turn to cables. Do you see all of that? Then you have garage door extension springs. Which Garage Door Springs are Best? Coated torsion springs are best. Torsion springs are safer than extension springs and often last twice as long. Coating a torsion spring makes it last even longer than a regular torsion spring. Why are torsion springs safer? Torsion springs are self-contained. When they break, they will not turn into projectiles. Extension springs, however, can fire off. Building code requires that safety cables be installed. That way, when an extension spring breaks, it will not shoot out. Unfortunately, many companies and individuals do not follow these rules. As a result, extension springs have destroyed garages and even killed people. Why choose coated torsion springs? Springs with coating do not break as quickly. The best coated torsion springs are shot-peened. Shot peening consists in firing ball bearings at the springs. After going through this process, these springs will last almost forever. For this reason, some garage door companies offer a lifetime guarantee on them. That being said, the best garage door springs are the ones that fit your budget and last as long as you would like them to. In need of garage door spring repair? 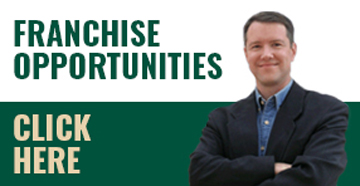 Contact your local Precision Door Service company. 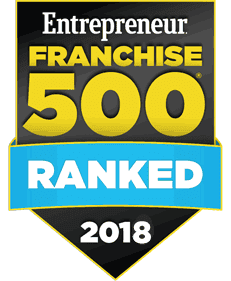 A professionally trained garage door technician will come to your house, assess your problem, and review your options with you. We always arrive in fully stocked trucks with torsion and extension springs of different sizes and coatings. No need for a return visit!